Spring has sprung and new beginnings are all around us. If you have been offered a Kindergarten seat at AmPark for the 2019-2020 school year pre-registration will take place the week of April 29th. Please call the main office to schedule an appointment with Damaris. Please spread the word for families that you know within the community. Take deep breaths and do your best. You’ve got this. Eat a healthy breakfast with protein the morning of the exams. Get a good night’s rest and come to school on time. 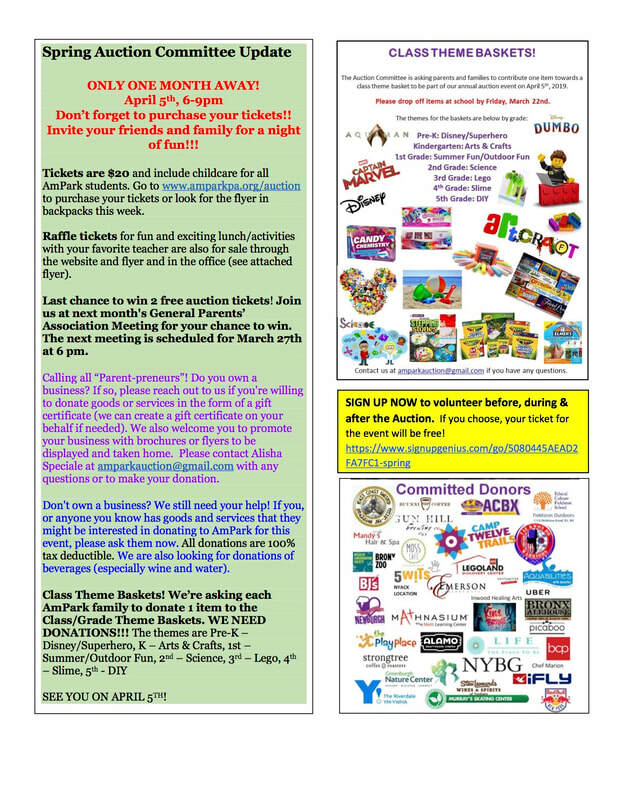 Come on out and join in the fun at the annual Spring Auction on April 5th. It is a wonderful community event and opportunity to make new friend with other family members. We hope to see you there! 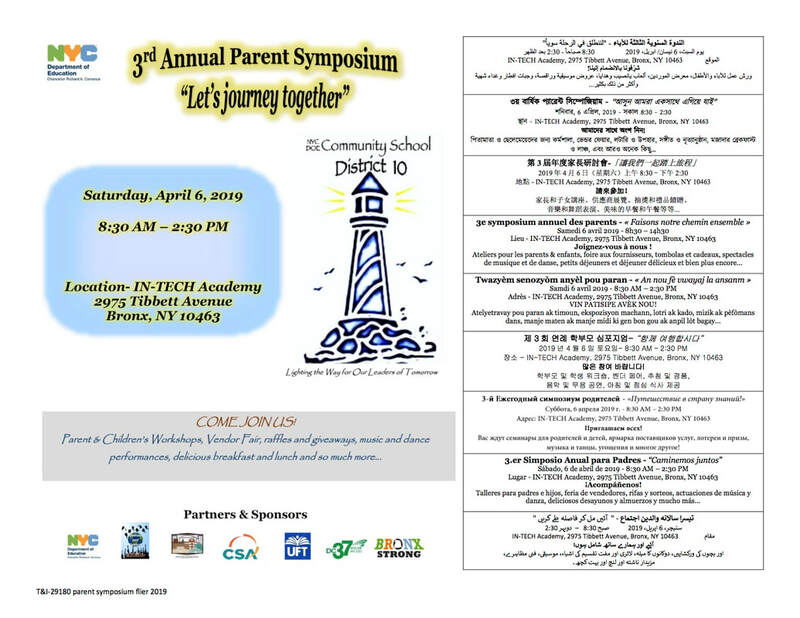 In April all families have the opportunity to attend the annual District 10 Parent Symposium at In-Tech on April 6th from 8:30 - 2:30. There are workshops, events, guest speakers, and a new chorus that our own Bonnie, and many of our amazing student singers are a part of! 5/3 Family Tea/PA Recap for April - We will be introducing Kiara our new acting Parent Coordinator at this meeting. Please join us! We'd like to thank all of our volunteers for their hard work at the Book Fair, AmPark's Got Talent, with the WITS Labs and those who have been selling Auction Tickets and Raffle tickets. Thank you to all of the parents that attended these events and the amazingly talented staff, students and their families that performed at AmPark's Got Talent on the 22nd. 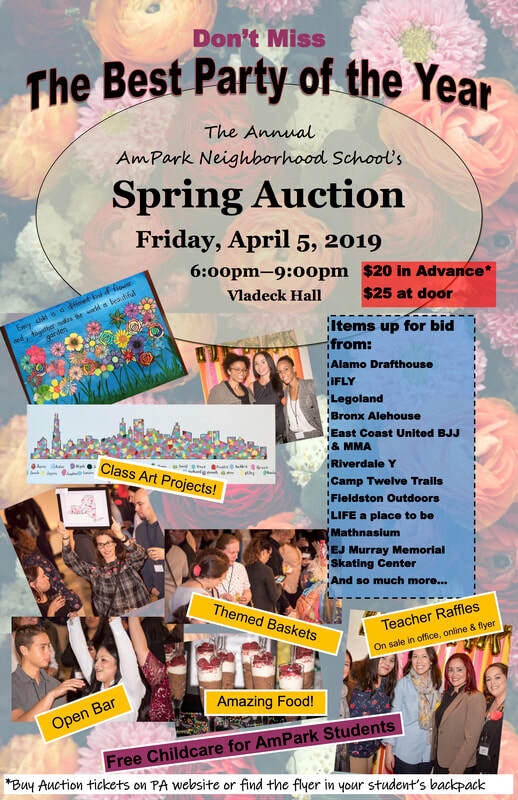 Our biggest fundraiser is just 4 days away and we have amazing donations to be bid on from class art projects to gift cards, experiences (from date night to family outings) and Hamilton tickets! We hope to see you all there. Please volunteer your time if you can! We are just 4 days away from the Best Party of the Year!!!! Have you heard that we have 2 Hamilton tickets, center orchestra, up for bid!! Restaurant Gift Cards from $25 - $200 at Cocina Chente, Suyo Gastrofusion, Jake’s Steakhouse, Kingsbridge Social Club, the Bronx Ale House, and so many more! Get Healthy - discounts and vouchers for martial arts, pilates, and swim classes at Abada Capoeira, Warriors Taekwondo, East Coast United BJJ & MMA, Kara Tatelbaum/Lazy Girl Pilates, and Aquabilities. All your generous donations have created some Incredible class themed BASKETS will be up for bid AND beautiful and meaningful CLASS ART PROJECTS! You do not want to miss the opportunity to bring home a beautiful keepsake-work of art from your child's class. You cannot purchase these art projects anywhere else. ​This year we have some beautiful works of art created with Ina by Jennifer's class. They are truly beautiful cityscape prints. A picture by one or more of these student artists would be a wonderful addition to any home decor. 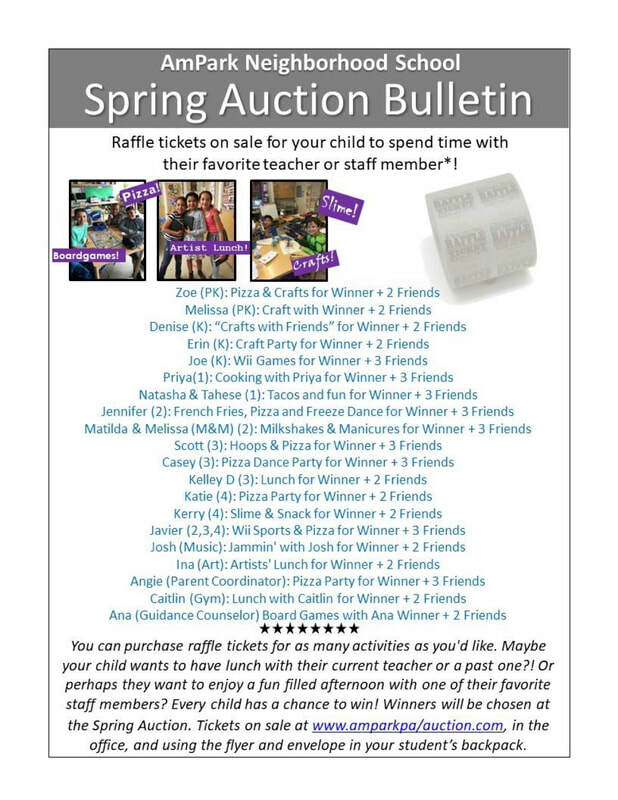 You can also purchase RAFFLE TICKETS for the chance for your kid(s) to win a lunch and fun activity with their favorite teacher or staff member. See attached flyer. Raffle Tickets are also for sale in the office. Raffles will be picked at the Auction, but you do not need to attend to win. With the price of admission, you will be treated to delicious finger foods, an open bar, and a kid-free evening of fun and bidding. Childcare is free for AmPark students. This is our largest fundraiser of the year. All money raised goes to make all our kids' educational experiences here at AmPark better ones. In order to make it work, we need help from all families. Looking forward to seeing you there! Help us make this the best Spring Auction ever! If you have any questions, contact amparkauction@gmail.com or check us out on Facebook or amparkpa.org. 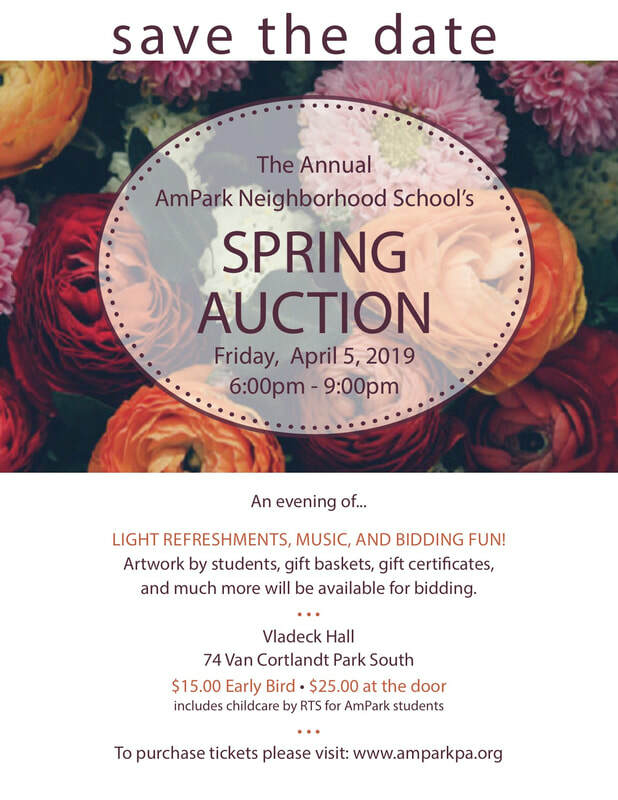 Tickets are always on sale at amparkpa.org/auction or send a check or money in your child's take-home folder. I hope that everyone had a safe and warm snow day. March certainly came in like a lion, and hopefully spring is just around the corner. Please be sure to complete your Learning Environment Survey. Surveys will be distributed prior to parent teacher conferences and are an opportunity to share your voice in school-wide decision making. Each family receives 1 survey. We will hand out the survey to the eldest student. Computers will be set up during PTCs to make the survey return a breeze. If you return or complete your survey at PTCs you will also be entered into a raffle to win a bag of books and AmPark swag, as well as a $50 gift card! Classes with 100% return rates will also receive a special reward! At PTCs, you will also notice members of our PA circulating in the lobby area to gather input into our yearly planning, such as workshop choices and meeting times. We’d love to hear from you! At our last PA meeting, we opened up with a presentation on Digital Citizenship. We are sharing the resources on the website again so that all families will have access to the information. Cyber safety lessons also take place periodically in school. Preparing our children for this new world we live in is so important for student safety and the shared resources can support these necessary conversations. This was a timely meeting given the latest cyber safety news. Please note it’s better to use this as an opportunity to teach good practices online. This should start by ensuring that kids know not to contact strangers online, regardless of the method. Setting privacy systems on devices with your child is a great way to have this conversation and agree on automatic precautions. Parents and guardians should ensure there’s an atmosphere of openness and transparency about online activity. Keep an eye on device usage and if you notice a child switching screens on their devices when approached or new numbers or email addresses on their devices it’s worth checking in with them. ​It’s also important to have video games and screens used in shared family areas so you can see what kids are doing. This also means they can talk to you more easily about anything that upsets them. In Minecraft, you would only see the Momo Challenge Character if your child is using mods and custom games, which are not available on the console version of the game. In Roblox, selecting the Restricted setting for your child’s accounts ensures they can only access games that have been checked for appropriateness. On YouTube, select restricted mode so that children cannot access content flagged by the YouTube community as potentially sensitive. Book of the Month: My Name is Yoon by Helen Recorvits is a story that shares a message of the importance of staying true to yourself and taking pride in what makes you unique. The people that are worth having in your life will notice the qualities that make you special and love you for them. Student Leadership Notebooks have launched across the school. Learn more about them here at Leaderinme.org. Students will be sharing their learning during the May evening school night. In April all families have the opportunity to attend the annual District 10 Parent Symposium at In-Tech on April 6th from 8:30 - 2:30. There are workshops, events, guest speakers, and a new chorus that our own Bonnie is a part of! We hope to see you there. Last, but certainly not least, we want to extend a huge congratulations to our own Tomas Yafar for not only having won our AmPark School National Geographic Bee, but also officially qualifying for the New York State Geography Bee! We could not be more proud of Tomas and his accomplishment! This month, Chef Ricardo and Chef Cathy will be leading WITS Labs making a truly delicious and healthy Broccoli Salad! You are welcomed to come and join our young chefs in the K Cafe as they prepare the salad themselves during the week of March 18th-22nd. Please check out March's Alternative Lunch Menu here to see what's upcoming in our cafeteria. Our next Wellness Committee Meeting will be held on March 7th at 8:30AM in the K Cafe. We would love for any and all interested parents and families to come and join us! We need all hands on deck this month with so many great events taking place. We would appreciate any time you can give us whether a little or a lot. The book fair will run the week of 3/11 thru 3/15 and we need volunteers to set up and run it. Parent teacher conferences will be held on 3/14 and we will be selling Auction tickets that day in the lobby. If we can get volunteers to man that table throughout the day it would be helpful. AmPark's Got Talent will take place on 3/22. 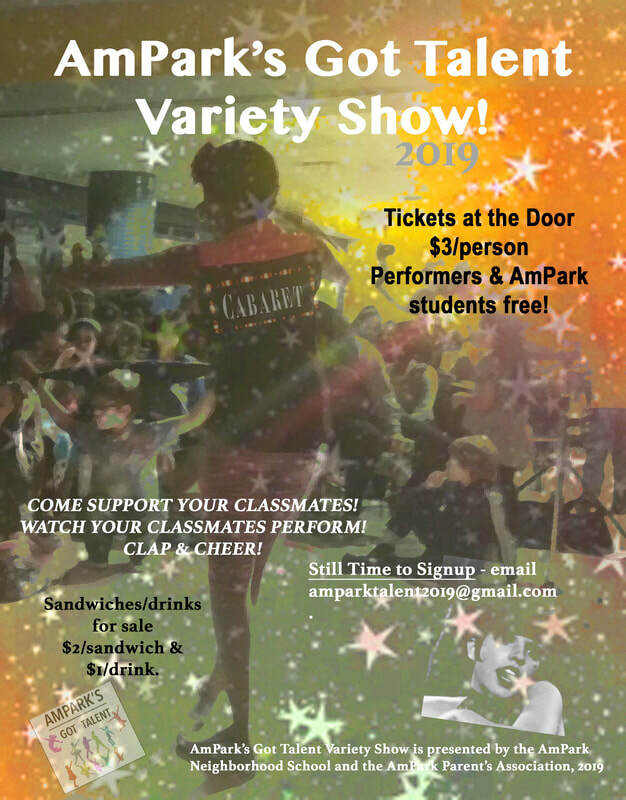 If you would like to be part of the show please email amparktalent2019@gmail.com to sign up. We will also need volunteers for behind the scenes at the show and to sell snacks. 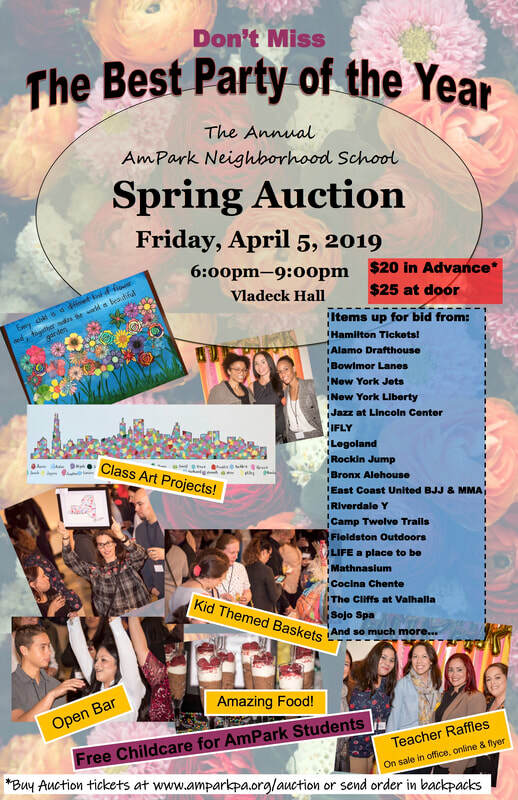 Last but not least our Party Of The Year: The Spring Auction is coming up on April 5th. Please come enjoy a kid free night with free wine and finger foods. 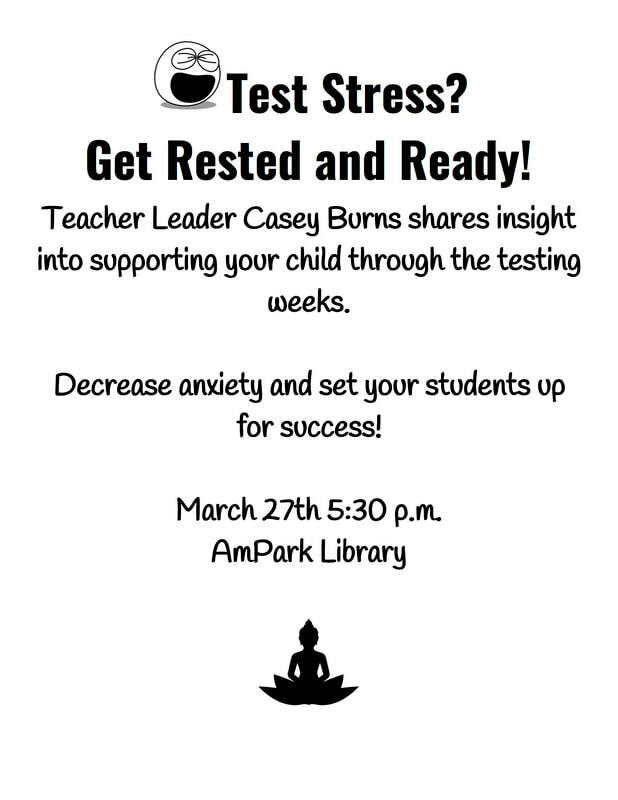 Childcare provided for AmPark Students! As always thank you for your participation and time. AmPark would not be as great as we are without all of you! Happy New Year! I wish you all the very best that 2019 has to offer. As we roll into the winter season, please be reminded that both AmPark and the Department of Education are committed to active, outdoor recess whenever possible. This means that students may go out when it is wet and/or cold. Be sure that your child comes prepared each day with the appropriate outerwear for such conditions. January’s Book of the Month is Ish by Peter H. Reynolds. This text teaches students about the value of creativity and standing by interests that you love. It emphasizes that doing your best is more important than doing things perfectly. Our representative from The Leader in Me visited AmPark to meet with staff and check in on how our second year of implementation is going. We reviewed results from last year’s Measurable Results Annual Survey and it was wonderful to see how students, staff, and parents agree that students take on active leadership roles in the building and that parents are committed partners in the work. From now until June we plan to further “leader-ize” school routines and events by giving all students even more time to shine in established school leadership roles. For example, adding a classroom “greeter” as a leadership position in each room, as well as creating a Student Lighthouse Committee to support planning occasions such as Field Day and The Spring Arts Festival. Student Leadership Notebooks are launching this month which will be used to help students keep track of their own personal Wildly Important Goals (WIGs). We look forward to sharing more! January 11th College Awareness Day: Take part in this annual DOE initiative by sending your child to school in gear from a favorite college. January 28th Chipotle Fundraiser: The fourth grade needs your help raising money for their partnership with the New York Historical Society. Grab some dinner from our local Chipotle between 4 and 8 p.m. Be sure to show the flyer to receive the donation! Copies going home, in main office and on website. February 8th National African American Read In: This event is the nation’s oldest to celebrate diversity in literature and is done in recognition of the sit-ins of the civil rights movement. Please let us know if you would like to be a guest reader for this annual event. Be on the lookout for more details! 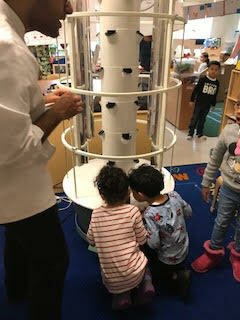 Please consider joining Caitlin, Chef Ricardo, and our student Wellness Ambassadors this Thursday, January 10th at 8:30 in the Kindergarten Cafe for our monthly Wellness Meeting. 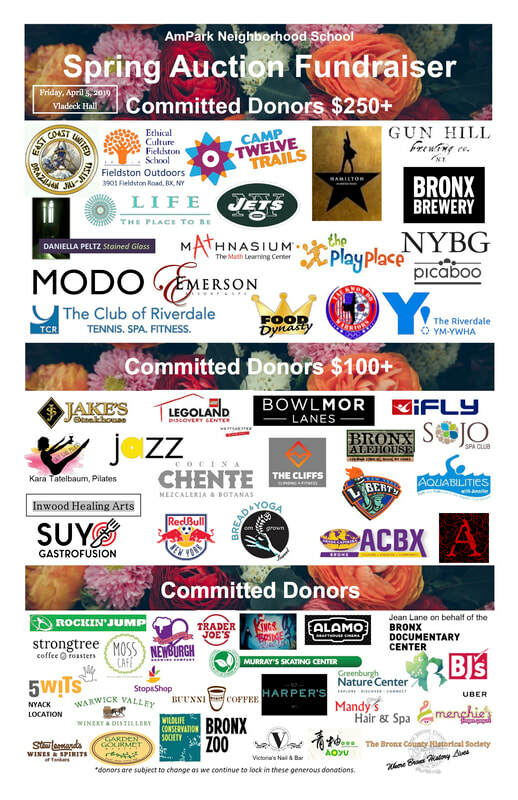 The Committee will be discussing initiatives for the 2019 year ahead and even begin planning into our spring Family Wellness Night featuring Alvin Ailey Dance (scheduled for May 30th)! As always, check out this month's delicious offerings on the PreK-8 Alternative Lunch Menu here. Happy New Year! We hope you all enjoyed the holidays. We have so many great things to look forward to and we're so excited to get back to work. The SLT meeting will be held on Monday 1/7 at 5:15pm. The next general meeting is on 1/23 and we will be holding elections for the Secretary and VP of Fundraising positions. Please join us and consider becoming part of the board. RSVP via the link: http://evite.me/mJ27NTFQU7. Also, Angie will be holding part one of her three part math workshop on 1/23. Time is TBD. The Spring Auction will be on April 5th from 6pm - 9pm. Come enjoy a night of food, drinks and fun. Childcare is provided for AmPark students and tickets are currently $15 dollars. Letters went out for the annual appeal back in December. Please help us reach our goal by submitting your appeal if you haven't already. The Talent Show will be on 3/22. Start thinking of what you'd like to do. 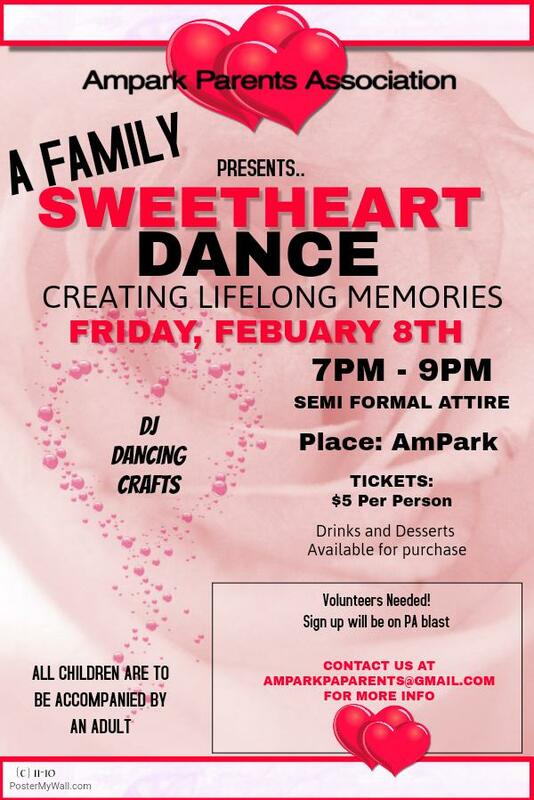 We really need our awesome parents to volunteer for the events we have coming up like the Auction and the Family Sweetheart Dance coming up in February on 2/8. Please reach out to the amparkpaparents@gmail.com address. As always, we are so grateful for any and all volunteers.